"The government has spelt out in stark terms the threat this country faces from terrorism, including Islamist and increasingly extreme right wing inspired terrorism. CONTEST describes the importance of denying violent extremists a safe space. "It is imperative we understand better how extremism - including narratives and ideologies - can lead to violence and terrorism; and the most effective strategies that prevent this. "We also have to recognise the chronic effects of extremism, which on a daily basis contribute to hatred, discrimination and division in our communities, and the undermining of our democratic shared values and our fundamental human rights. 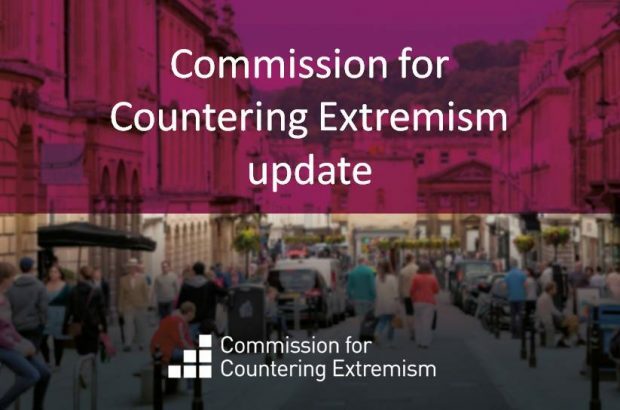 "The Commission will support and help everyone do more to challenge extremism, whether violent or chronic. Alongside building an authoritative Commission and a network of counter-extremists, we will be publishing a comprehensive study on extremism. I will shortly be issuing a public call for evidence on the scale and the impact of extremism."